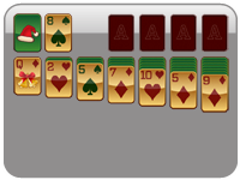 Offset your less-than-exquisite gift-wrapping skills by becoming a Spider Solitaire pro instead! 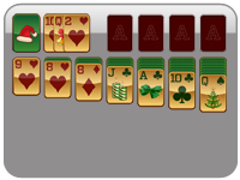 Christmas Four Suit Spider Solitaire is the most difficult because it uses all suits, adding a whole new level of complexity to the game. 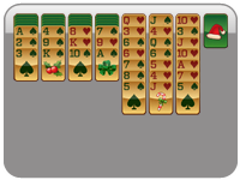 You can stack cards in descending order regardless of suit in this game, but runs must be in the same suit in order to be movable. 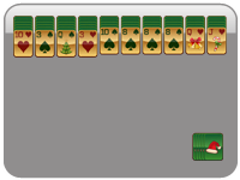 For example, you can put an 8 of clubs on top of a 9 of diamonds in the tableau, but cannot move those two cards at once. Rather, the 8 and 9 could be moved together if they were the same suit. 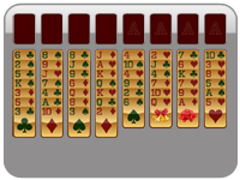 Similarly, foundations must be built from in descending order from King through Ace in the same suit in order to win. 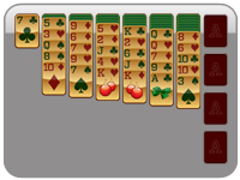 Separate runs into suit in descending order to become a Four Suit Spider Solitaire master!